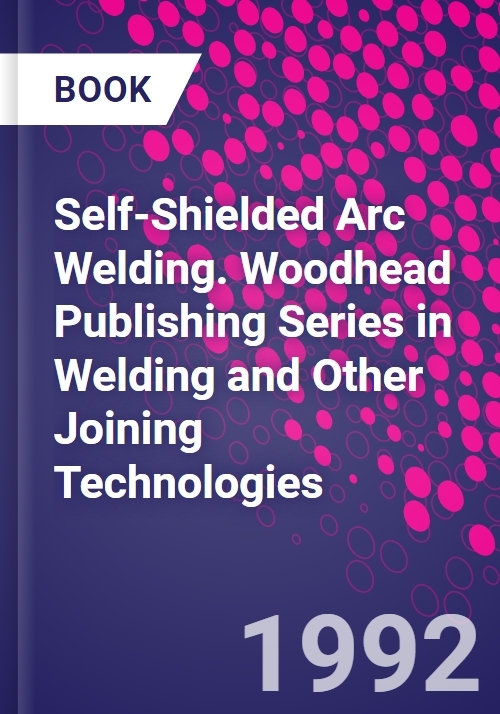 A detailed original perspective from a leading expert on welding metallurgy of the self-shielded arc welding process and its applications. The author explains the basic process metallurgy of the process and its relationship with other arc welding processes. He promotes self-shielded arc welding (SSAW) as a distinct process in its own right, dispels some widely held misconceptions, and sets out to bring its existence and advantages to the attention of designers and fabricators. Basics of process metallurgy; Some aspects of physical metallurgy; Procedures for high fracture toughness; Procedures for high fracture toughness; Specifications for self-shielding wires; Some aspects of production welding; Spectrum of proven applications.